Raise your hand if you are planning to brave the shopping madness this weekend? NOT ME! I’m staying put in my pajamas and tackling that Black Friday shopping from my computer and eating a few servings of this Turkey Spaghetti Bake! 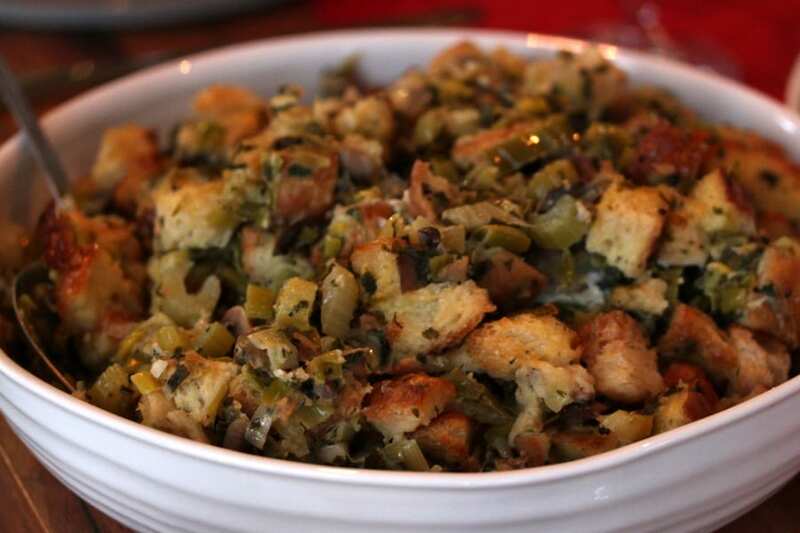 It’s all about the Thanksgiving leftovers today on WGC! I think by now we’ve all got our turkey day menu down solid, but if you don’t feel free to take a look at my epic Thanksgiving Dinner Menu! It’s everything you could want and more. But once the meal is over – what do we do with all the leftover turkey? 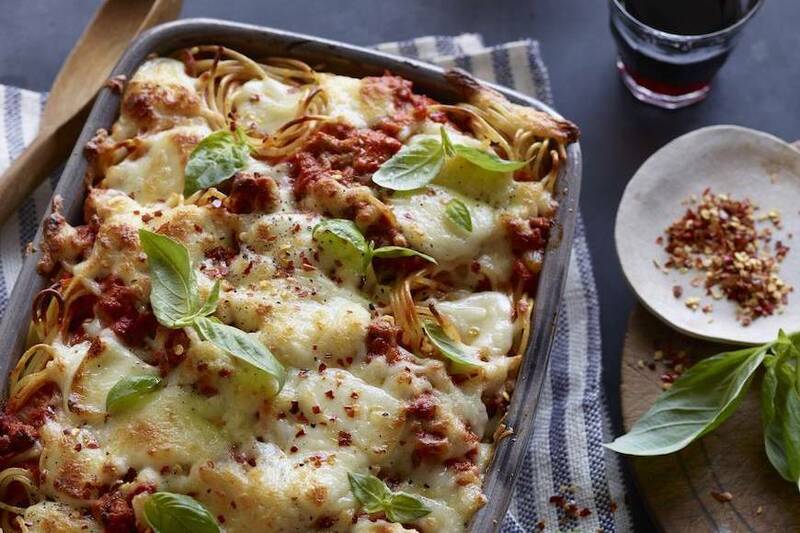 Turkey Spaghetti Bake. Duh. It’s an easy way to use up those leftovers. Just shred the turkey from the carcass and then use some of it for this recipe. If you’re storing leftover turkey in the fridge – it will last 4 days. More than that and you’re outta luck. Unless of course you opted for the freezer – then you’ve got about 2-3 months but be sure to watch out for freezer burn. Because that just wipes away all the flavor! Stay tuned – Friday I’m coming your way with even more leftover ideas and some MAJOR black Friday deals that cannot be missed! I mean, if there was ever a time to shell out some dough for kitchen appliances… Friday is it! Break the pasta in half and cook the spaghetti according to the package directions, drain and set aside. Heat the oil in a large skillet over medium heat. Add onion and cook, stirring, until tender, about 5 minutes. Add the garlic and cook for 1 minute more. Add the turkey, cream, tomatoes, salt, pepper and Italian seasoning and stir to combine. Reduce the heat to low and simmer for 10 minutes. Add the cooked pasta to the sauce and stir. Taste and adjust seasoning as needed. 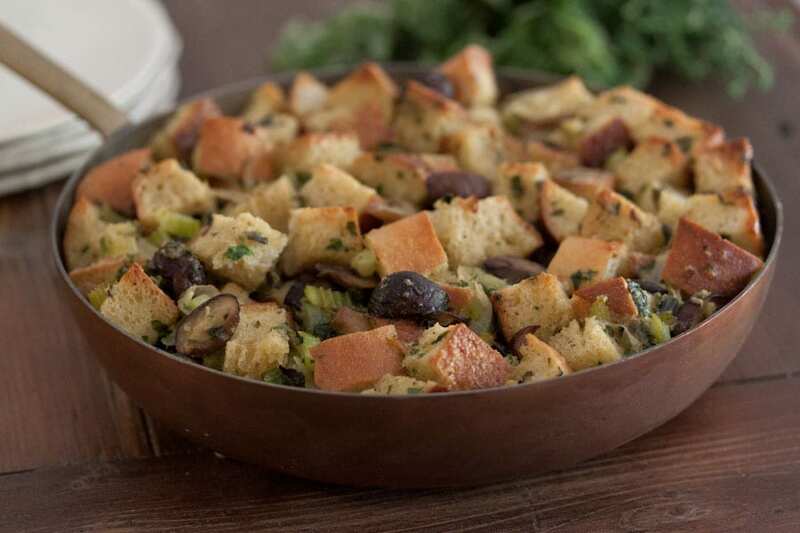 Transfer the turkey and pasta to a baking dish and top with parmesan and mozzarella cheese. Bake for 20-25 minutes until the cheese is melted. Garnish with basil and serve as needed. The only leftovers we had this year was Rum & Coke glazed Ham. I chopped the ham into bite size pieces and added them to a scalloped potato dish the next day. It was delicious! my favorite thing to make with leftovers is turkey noodle soup!! 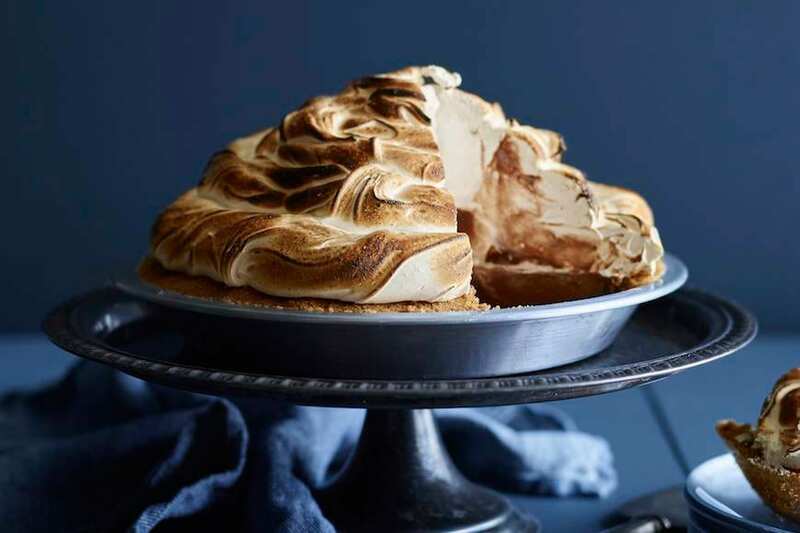 the recipe above looks amazing, i cant wait to try it! I like to make a turkey soup! Looks delish Gaby! Happy belated Thanksgiving to you 🙂 I’d have to say my favourite thanksgiving leftover to make is turkey sandwiches with all the fixins’….cranberry sauce and stuffing included! I like making a turkey curry I found from a Cooking Light magazine. My fav is turkey pot pie! Turkey sandwiches with cranberry sauce are the best! Looks like a great week night dish! My favorite dish to use leftover turkey for it white bean, turkey chili! So warm and filling. But I’m always open to new ideas and fun new recipes. 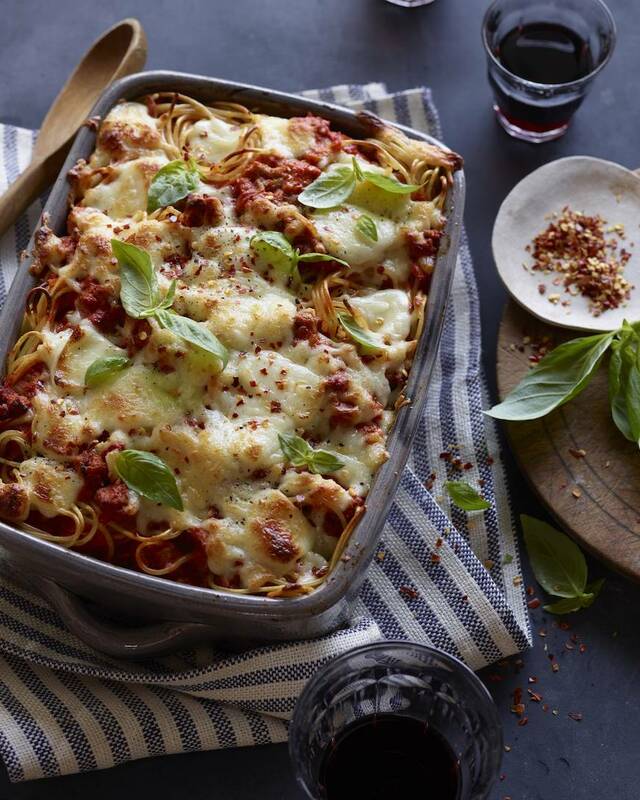 I do believe I will have to try this Turkey Spaghetti Bake…looks amazing! I like making turkey soup. oh yum! I don’t make anything, I just eat them warmed up. I make the most delicious turkey and wild rice soup! I never get to eat more than one bowl because everyone devours it! THe one thing I look forward to making with my left over turkey each year is Turkey Wild Rice Soup…YUM! Must have turkey & cranberry sauce grilled panini. I love a big open-faced turkey sandwich, smothered in gravy goodness. Potato cake with my breakfast. It’s the only time of the year that enough mashed potatoes are made to have leftovers in my family. I made pumpkin, caramel, and toffee crunch parfaits with leftover pumpkin pie! Definitely leftover sandwiches. Soooo good! How do you shred turkey? I have everything except the heavy cream. Can I substitute with canned evaporated milk? I’d like to make this today. Thanks for what looks like a fantastic recipe! Sounds good. How many does this recipe serve?